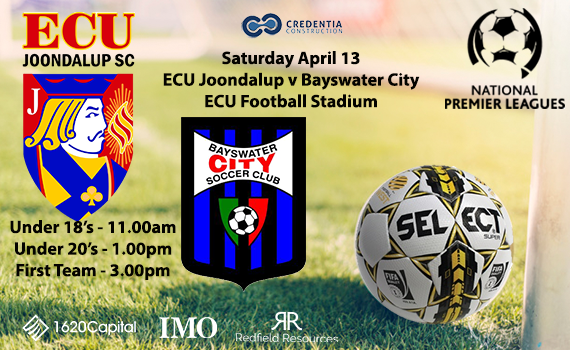 We take a look at past ECU Joondalup games, and this week we go back to April 2015 when the Jacks came home from Percy Doyle Reserve with all three points after 2-1 win against Sorrento on a Friday night. 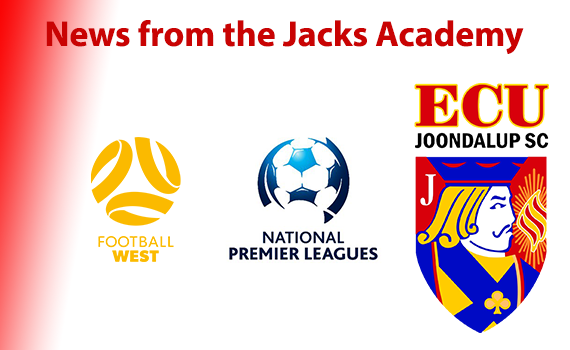 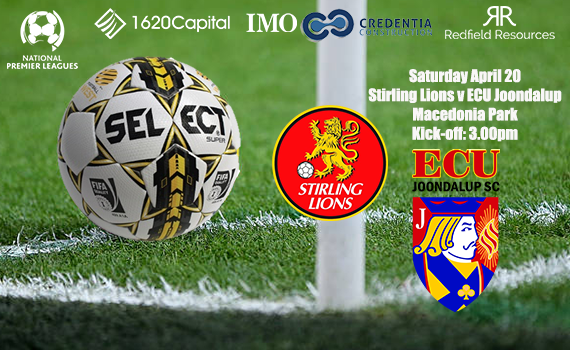 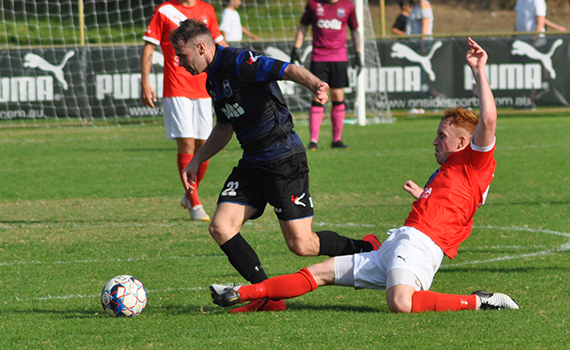 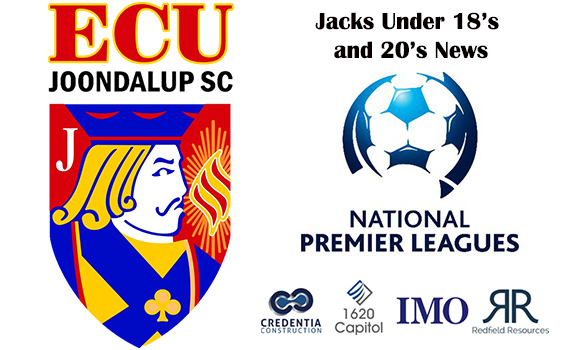 It’s a busy weekend for the Jacks under 18’s and 20’s, with an NPL WA game against Stirling Lions, before a State League Cup game at Sorrento on Monday. 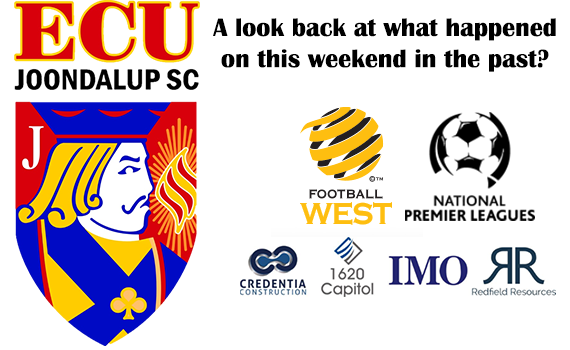 The ECU Joondalup SC NPL WA junior side travelled to Bunbury last weekend to take on South West Phoenix at Hay Park. 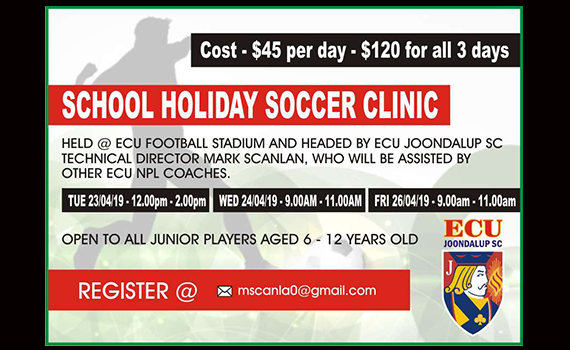 Once again ECU Joondalup Soccer Club will be holding their School holiday soccer clinics for boys and girls aged 6 – 12 years old at the ECU Football Stadium starting on Tuesday April 23.